This VERY clean 7GCBC Champ has ACA Factory Metal Wings & VG’s! N 5074X - Price: Just slashed to $59.5K !! Airframe: 3,515 TTSN (New ACA Metal Wings in 2001) Engine: 1,454 SMOH (Lycoming O-320 / OH in 1994) Propeller: 1,454 SMOH (Two Blade – Fixed Pitch) Avionics: VFR: Garmin – Area GPS King Com King KT-76A Transponder w/Mode C Intercom – 2 Place Digital Tach Chrono ......more. 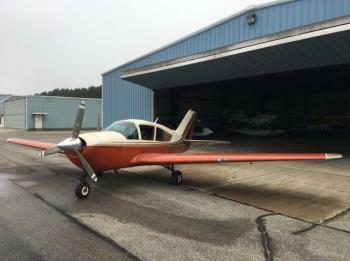 This Magnificent Bellanca Super Viking is LOW TIME and VERY Clean - Priced to Sell!! N 6703V - Price: $55.5K 1890 TTSN Engine: 590 SMOH – Teledyne Continental OH in 1997 – Continental IO-520K Propeller: 280 SMOH Avionics: King KX-155 Nav / Com - Two King KN-64 King KT-76A Transponder King GS King CDI King AFD Century II Autopilot Quartz Clock OAT Gauge 4 Place Intercom......more. Stec 30 Autopilot with electric Auto Trim. Reduced! Recently inspected Wings and spars! Low time! 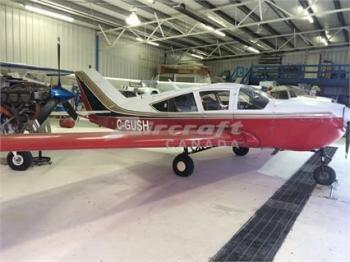 No Damage History Date of annual: July 2015 406 ELT Aircraft is subject to verification of specifications, logs, times, damage and all equipment listed. 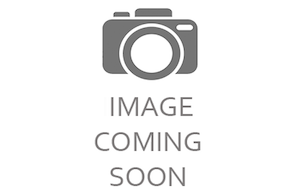 Airframe: Total Time since New: 2339.3 Date of Mfg: 1971 Engine(s): Continental 10-520-k Serial Number: 209107-K-71 Time Since Major Ov......more. Wow! It's a Time Capsule...This beautiful 7GCBC Citabria was Stripped, Recovered & Painted in 2016 with NEW Spars, Formers & Stringers…34TT SMOH by Lycon Rebuilders! 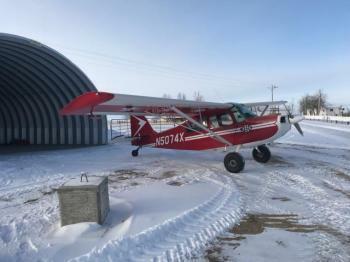 N 8750 - Price: $69.5K Airframe Time: 2,854 TT SNEW Engine: 34 SMOH (2016 - Lycon Major OH - Lycoming 0-320 – 150 HP) Propeller: 34 SMOH Avionics: EI UBG-16 Bar Graph Engine Analyzer Terra 760D Com Trimble XPNDR......more. 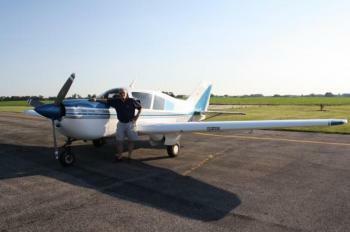 1973 Bellanca 17-31ATC Super Viking for sale featuring a 300HP Lycoming IO-540K1E5 engine. This aircraft is due for annual (last done 7/2015) but with some TLC, it could be soaring again in no time. 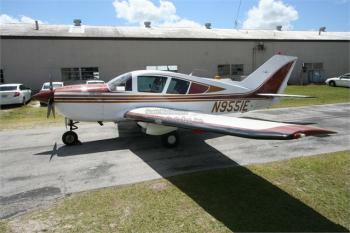 The owner is in the military and regrettably has no time to fly, but his loss can be your gain! Airframe Details: -TTSNEW 3274 -Hobbs 3133 -SMOH 1414 -SPOH 243 -TTPROP 915 -RayJay TurboNormaliz......more. 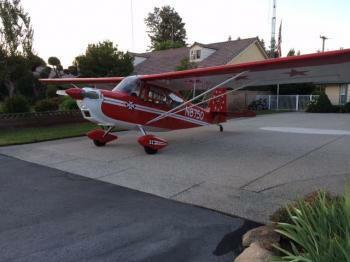 Airframe Time: 1607 TT SNEW – New Fabric & Paint in 2010 / Flown 161 Hours in the last 24 months – Original Wood Spars / Heel Brakes Engine: 221 SMOH in 2013 – Lycoming IO-320-E2A – 150 HP Propeller: 349 SMOH in 2015 Avionics: ADS-B Out Garmin 296 in Panel Gizmo King KX-177 Nav / Com King KT-76A Transponder ECI Oil Temp / Press Fuel Flow Meter G Meter Hobbs Meter Sigt......more. 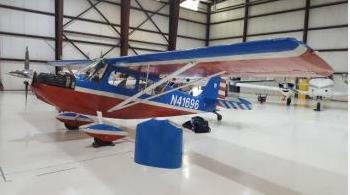 50% ownership of this aircraft is for sale Aircraft has always been hangared - currently hangared at CZBB Useful load 1,056 lbs Fuel capacity 75 US gallons Other co-owner is easy to work with Aircraft previously registered as N39833 in the USA All reasonable offers will be considered. 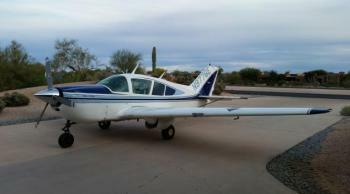 Airframe: TTAF: 4302 Engines: SMOH: 1005 Props: McCauley 3 blade Prop Overhauled December 2017......more. N 88395 - $ 35.5K Airframe Time: 3176 TT SNEW Engine: 439 SMOH (Lycoming IO- 320 / 150HP / Inverted Fuel & Oil) Propeller: 439 SMOH Avionics: Narco Mark 20 Nav / Com Narco CDI Narco AT-150 Transponder Two Place Intercom Exterior: 2 / 10 – Painted in 2010 Colors: Orange w/ Red & Purple Stripes Interior: 5 / 10 Colors: Buckskin w/Black Inserts Material: Fabric / Vin......more. This beautiful Bellanca Super Viking was COMPLETELY restored to NEW condition in 2005…this is the pristine Viking you’ve been searching for! N 8800V - Price: $88.5K Airframe: 3717 TTSN – Fly’s 40 Hours / Year Engine: 850 SFRM - Lycoming IO-540-K1E5 – 300 HP Propeller: 850 SMOH Avionics: ADS-B Out Compliant! Garmin G530 – WAAS (Coupled) S Tec – 55 Auto Pilot – Coup......more. 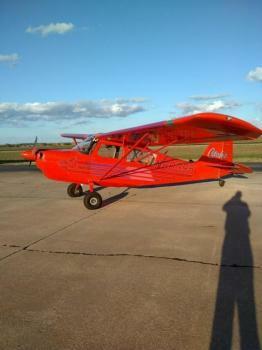 This beautiful Bellanca Turbo Super Viking lives in the desert! N 9776E - Price: Just slashed $5.5K to $49.5K! Times: Airframe: 1996 TTSN – Flys Regularly Engine: 1996 TTSN - Lycoming IO-540-K1E5 – 300 HP Propeller: 400 SMOH Avionics: Garmin 296 – Panel Mount Collins Coms Collins Audio Panel w/Marker Beacons Century III Auto Pilot Century HSI King Glideslope Portable ......more. ONLY 2083TT 164SMOH 164SPOH, Garmin 400W, Hangared Complete logs and Records Airframe: Only 2083 Total Time Engine(s): 164 SMOH Feb 2007 Props: 164 SPOH......more. 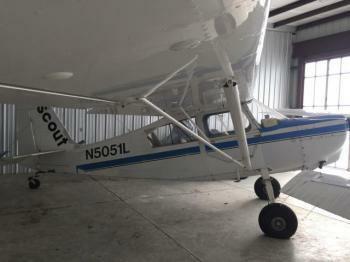 This 79 Bellanca Scout has new ACA Metal Wings! N 5051L - Price: $ 68.5K Airframe – 1596 TTSN / SN: 429-2001 Engine – 1596 TTSN – Lycoming 0-360 – 180HP Prop – 1596 TTSN (Fixed Pitch) Avionics: King KT 97A King KT-76A Options: New ACA Metal Wings – 110 TTSN !! Split Door Metal Belly Factory Spades Wingtip Strobes 36 Gallon Fuel Tanks Exterior: 3 / 1......more.